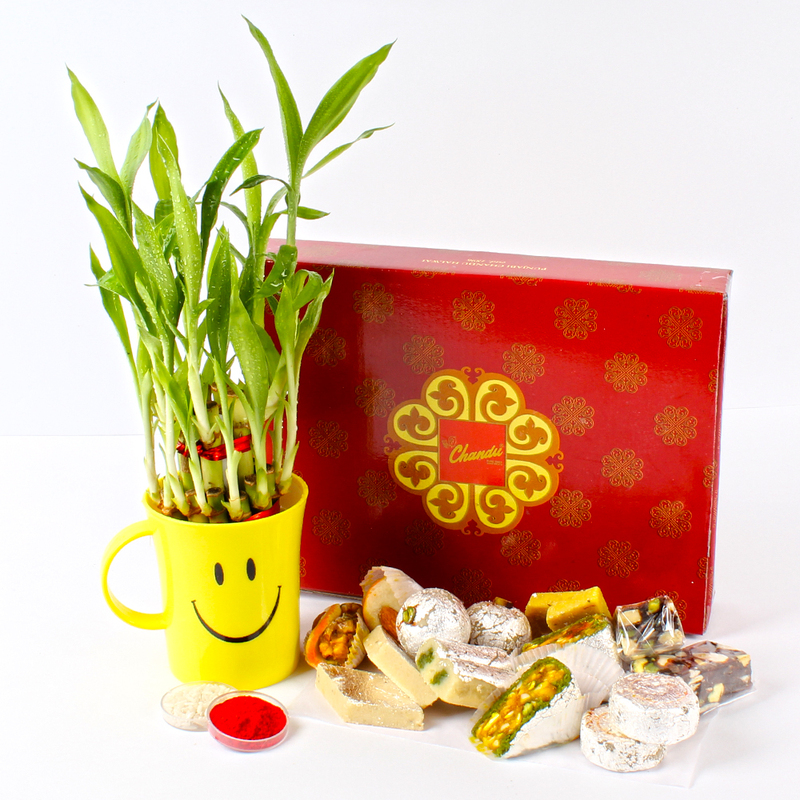 Product Consists : 2 Layered Bamboo Plant in Smiley Mug along with Assorted Dryfruit Sweets (Weight : 500 gms) and Pack of Roli Chawal. 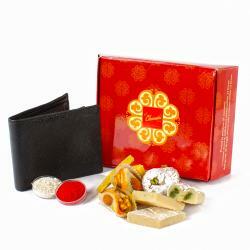 Make the occasion of Bhai Dooj all the more memorable for your brother, opting for this gift hamper thoughtfully put together. 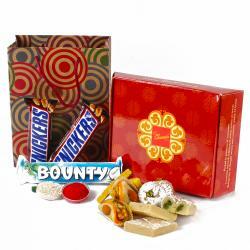 Included in this hamper is sure to lend distinctive flavor and punch to its bearer. 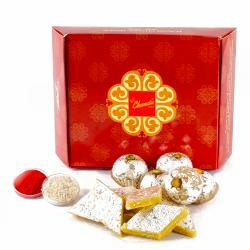 It also has a 2 Layered Bamboo Plant in Smiley Mug along with Assorted Dryfruits Sweets. So, go ahead and order for it now. 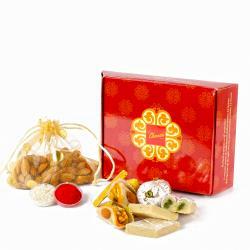 Product contains: 2 Layered Bamboo Plant in Smiley Mug along with Assorted Dryfruit Sweets (Weight : 500 gms) and Pack of Roli Chawal.